Projection of an image onto a piece of paper for size and focus. Using my DLP Projector and Raspberry Pi setup that I am making a 3d printer with. Easiest way to get an image onto the shirt. 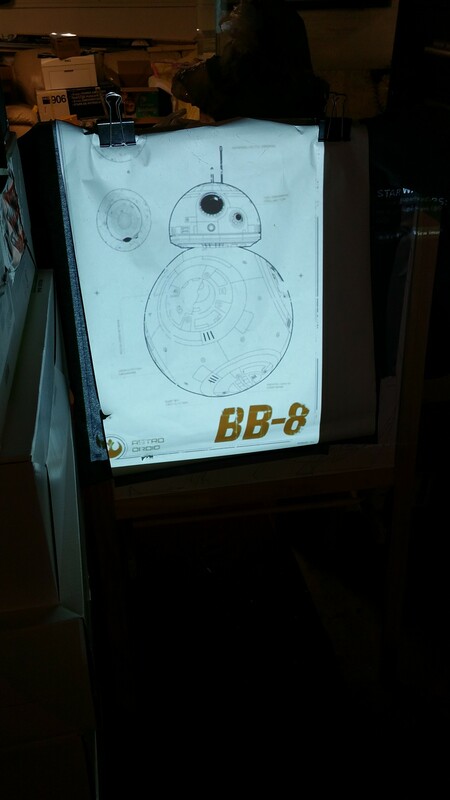 Drawing a BB8 hooded sweatshirt.